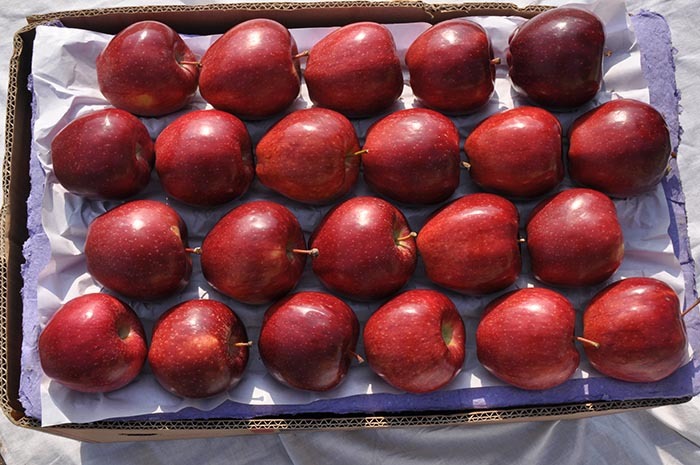 The Red Delicious apples origin was in Peru, Iowa. This beautiful apple type has a deep red color. 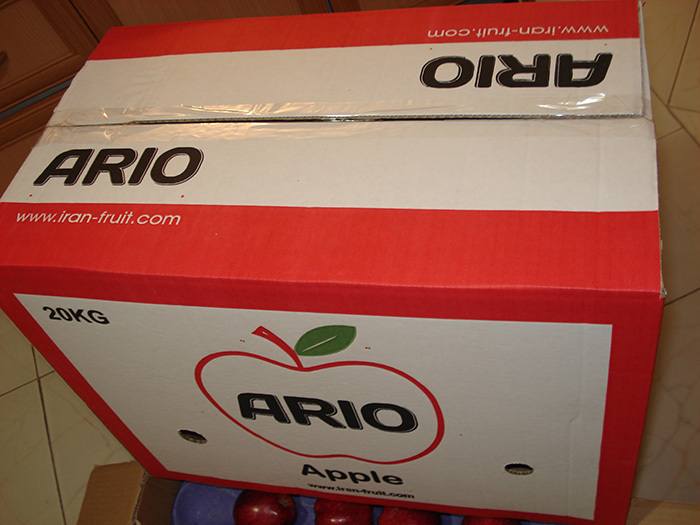 In contrast to their beautiful and attractive appearance, the red apples flavor is rather mild and insipid. The skin of this apple type is thick and has a bitter taste, but the inside eatable part has a crispy texture. 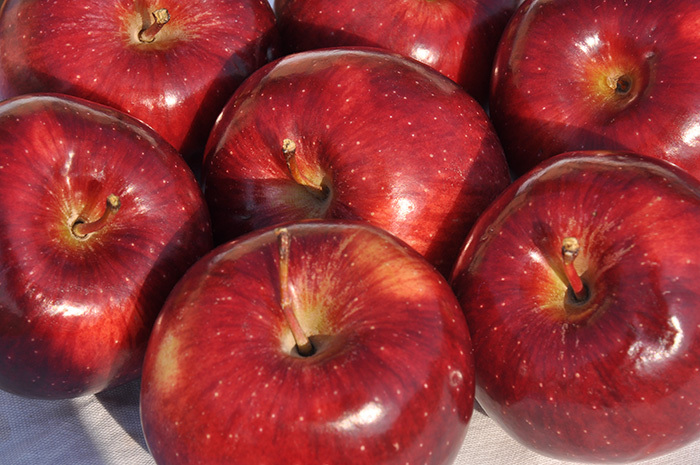 In comparison to the rounder apple types, the Red Delicious apples have thinner shape. It’s better not to use the red apples type for baking. They are mostly eaten in salads.